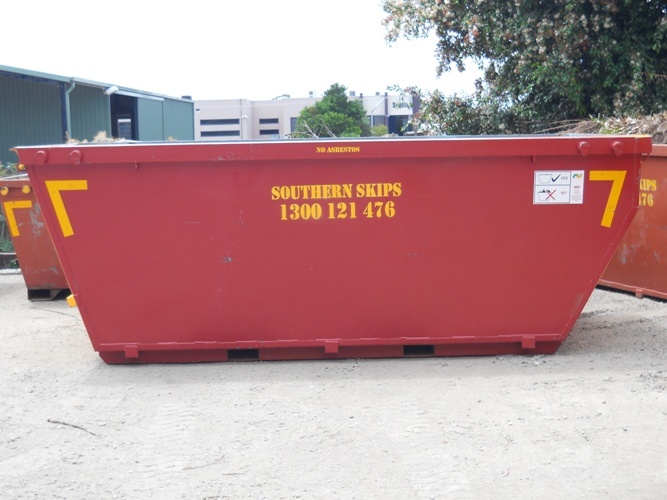 We have a large range of Skip Bin sizes, ranging from 2m³ to 10m³. With the exception of our 2m³ skips, all of our bins are walk-in bins, giving you easy access for loading. 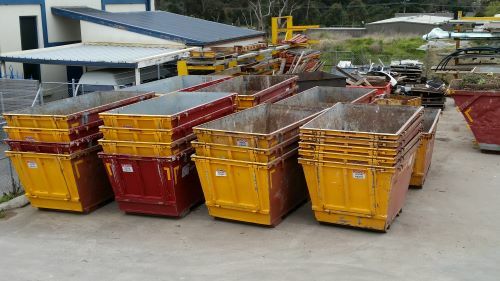 Please view the images below to help decide which bin is right for your job, and continue scrolling to see how we price our bins and photo gallery. 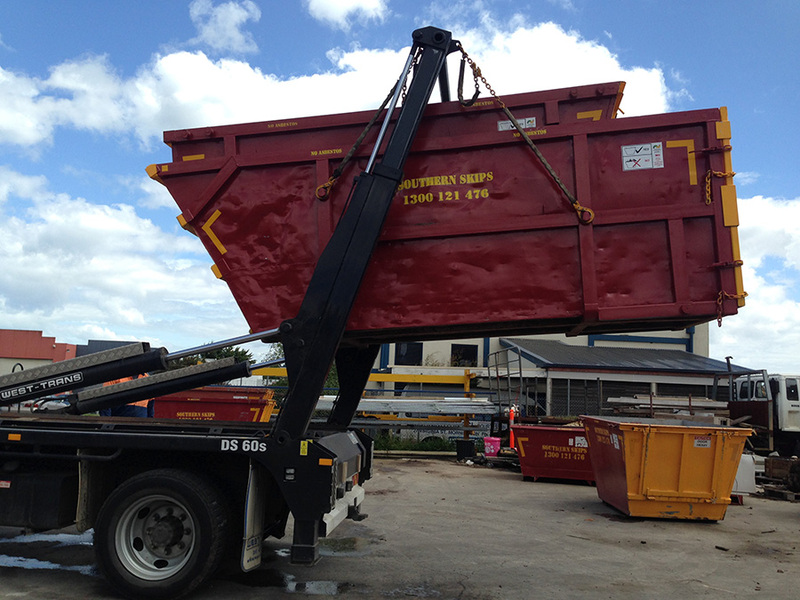 Visit our Blog page for some Tips & Tricks on how to best fill our skip bins. 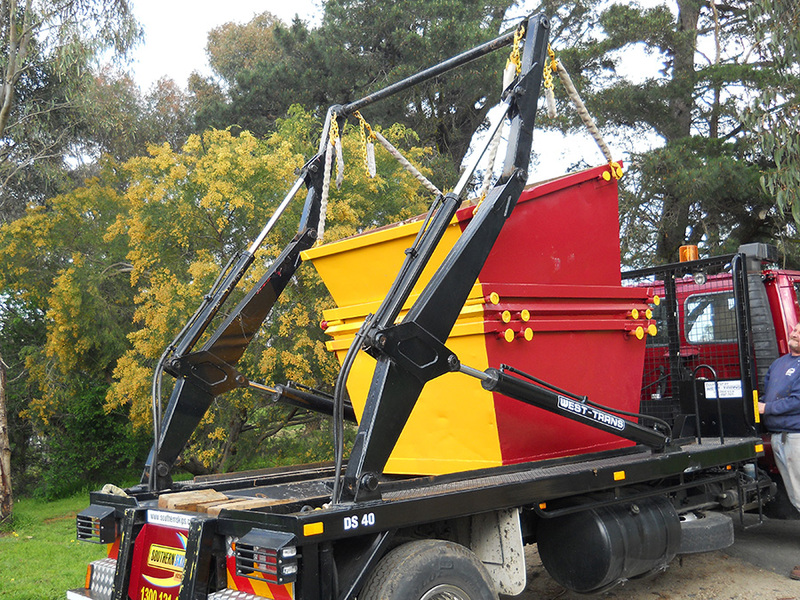 All our Marrel bins are lifted from our trucks on hydraulic chains, minimising any potential damage that could occur to your property. 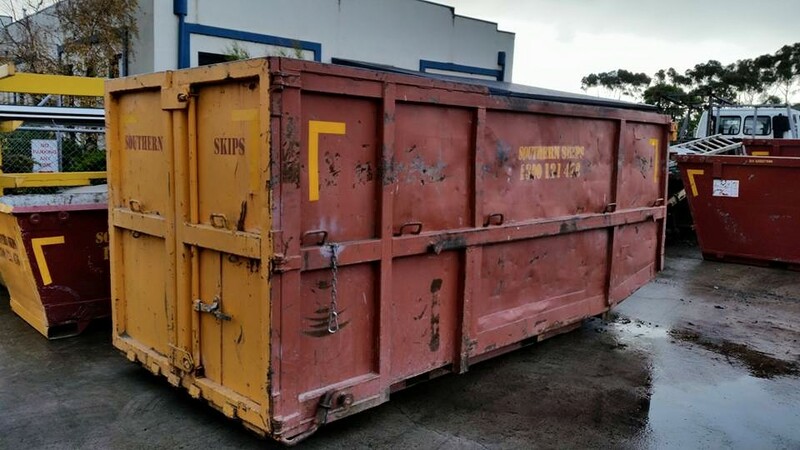 3600mm L x 1500mm W x 1500mm H. The door opening is the full 1500mm W.
4400mm L x 1500mm W x 1500mm H. The doors are barn style doors giving a 1500mm wide opening. 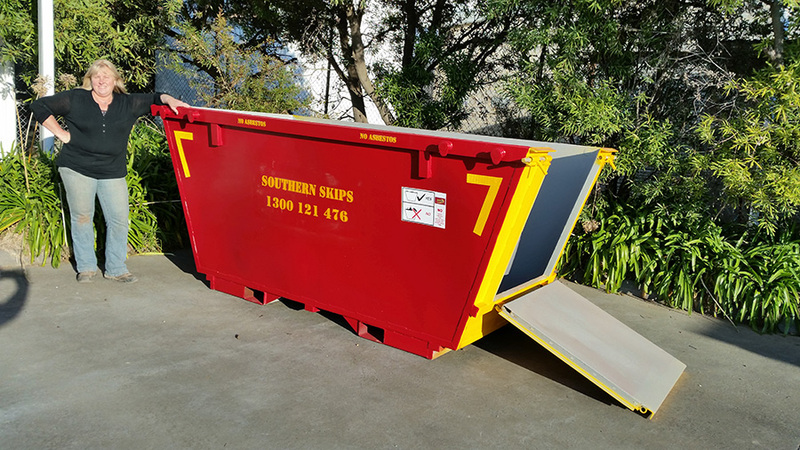 We do not provide a single standardised price for our skip bins as we believe unique quotes are required to ensure nobody pays too much for their bin. 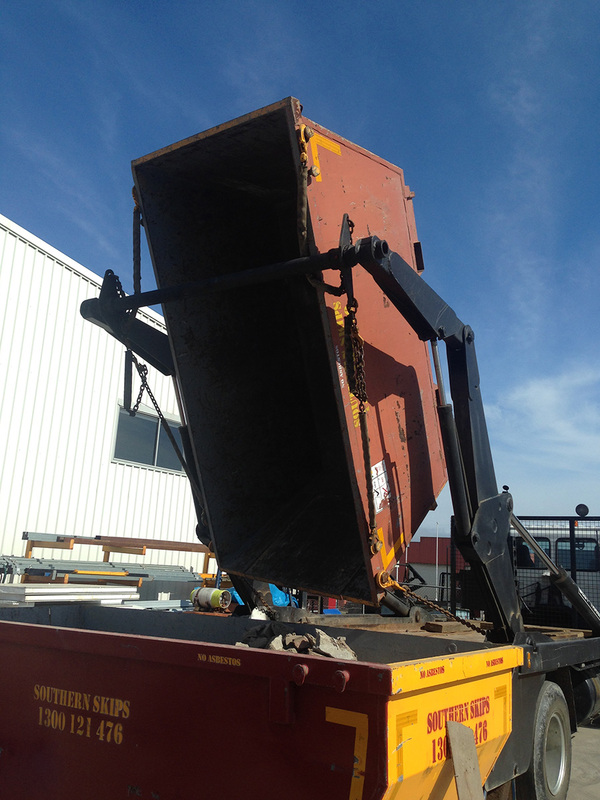 We charge based on the size and weight of the bin, with added extras such as mattresses and bricks (see conditions page) also being taken into account. 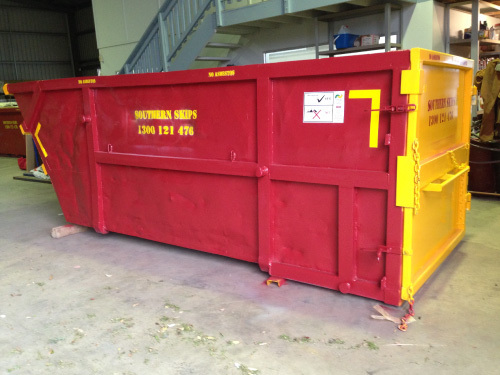 We will often ask whether you want to the bin to placed on your property or nature strip. 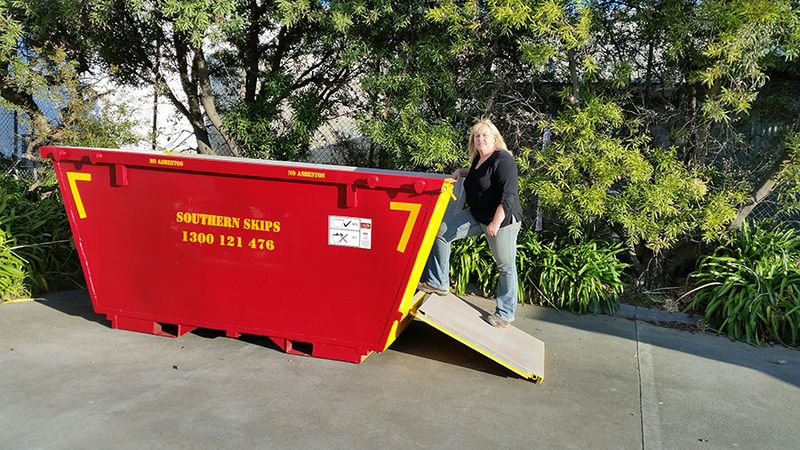 This is because some councils require a permit for skip bins to be placed on the nature strip, which is something we can organise for you. 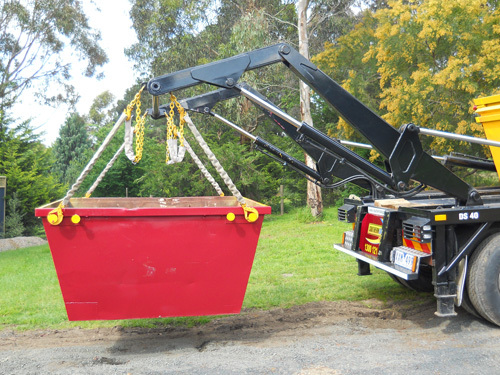 We would simply add the charge of the permit to the cost of hire and handle all required correspondence with your council. 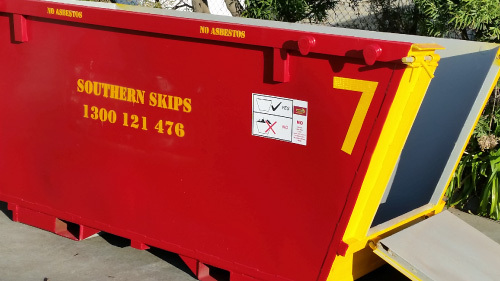 Payment for all skip bin hire can be taken over the phone prior to delivery, which means you do not have to be on site when the bin arrives. 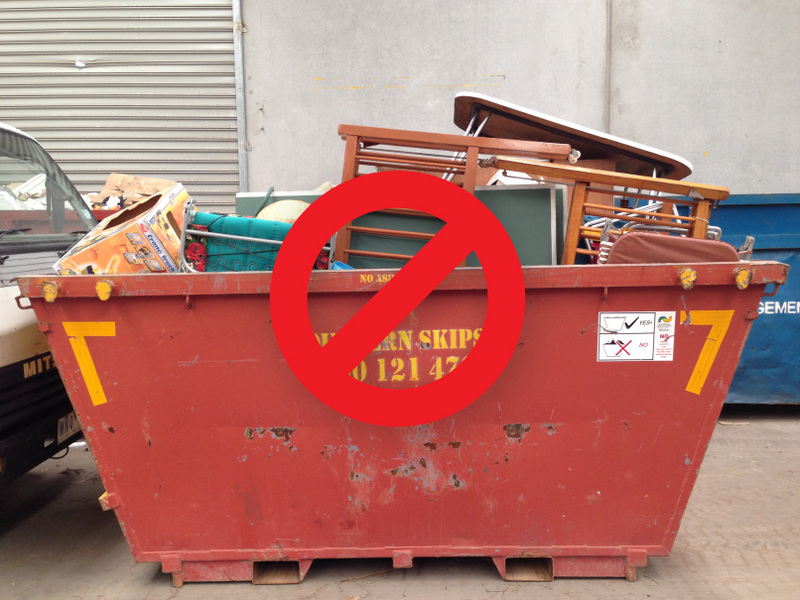 It can also be done via eftpos or cash - if you prefer - apon delivery. For a unique quote today contact our friendly office staff.